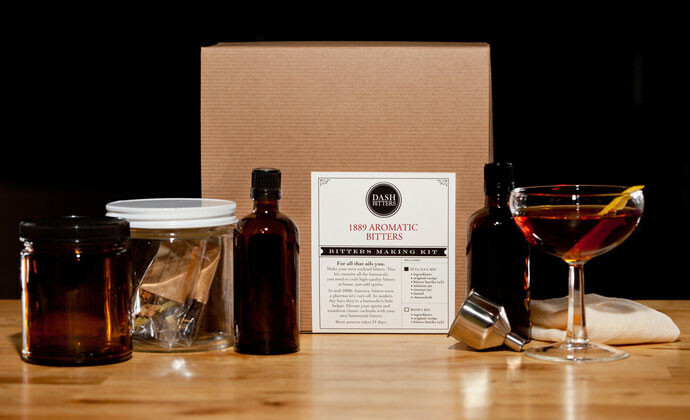 Dash Bitters offers DIY bitter kits for making homemade bitters for cocktails. There are two kits to choose from: The 1889 Aromatic Bitters or the Cherry Walnut kit. Search the website for cocktail recipes to use with your fresh bitters. Available from Dash Bitter online.